Shahrukh Khan’s Living Room, Which is Designed By Wife, Gauri. Picture of Shahrukh Khan’s Living Room (Drawing Room) at his Mumbai residence, “Mannat”. 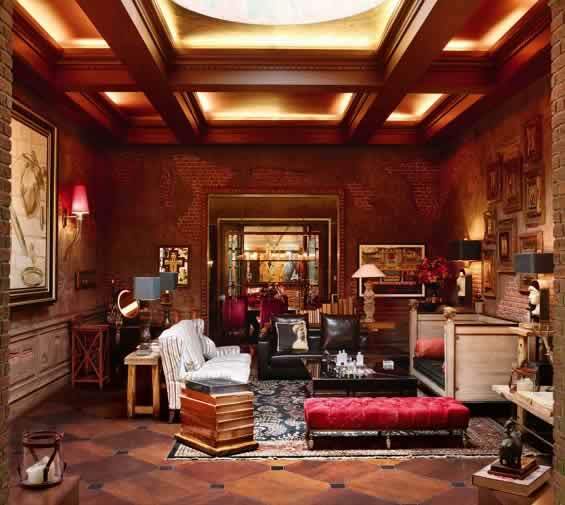 Shah Rukh Khan’s Living Room and House id designed by his wife, Gauri Khan. In the roof of SRK’s living room is a skylight that provides natural sunlight to the room. Gauri seems to prefer dark colours for her home. Please visit this page for more pictures of inside Shah Rukh Khan’s House, “Mannat”.